Our society has entered a disruption era, undertaking several consecutive digital transformations which will have an impact comparable to the industrial revolution. In order to keep up with the pace of innovation, it is necessary for society to digitally transform and thus embrace base technologies such as big data, deep learning and blockchain. 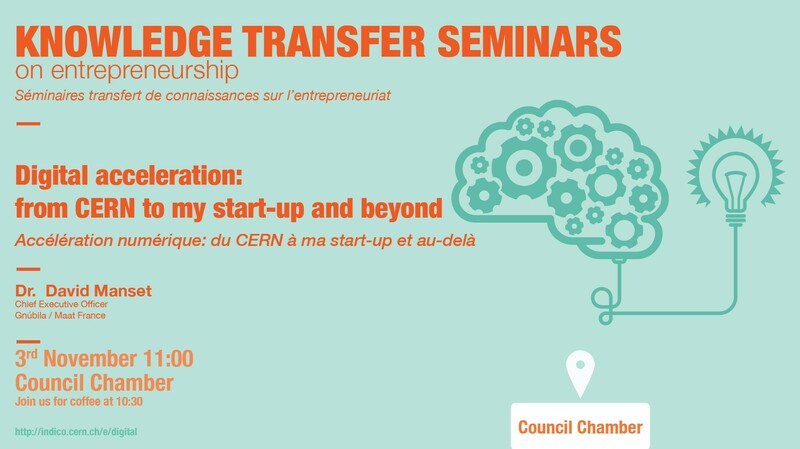 From a real life example, this talk will analyse the journey made from CERN technology to a startup and conclude with ongoing innovative developments in a large French group specialised in digital trust, looking to address digital transformation. Registration is only compulsory if you do not have a CERN access card.